Lateral loads, shear, tension, compression, snow loads, gravity loads, floor loads…these are some of the things that timber frame engineering is about. It is a fun and interesting aspect to the art of craft. 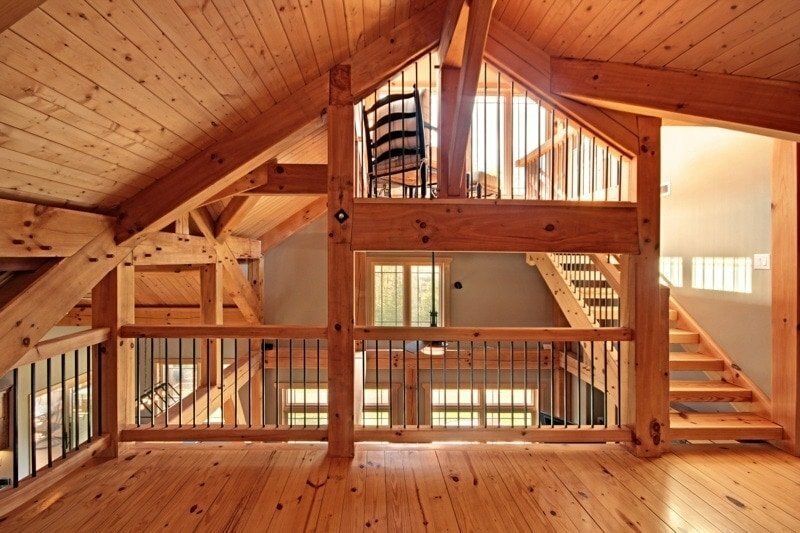 A licensed engineer is familiar with the architecture and engineering of timber frames, and the specific reaction to stress loads in the joints and joinery. Many areas require an engineer’s seal before granting a building permit for timber frame buildings. This type of construction is not covered under most local building codes, making an engineer’s input vital in the construction process. We have compiled some useful information on this page in order to make your search for a timber frame engineer or other information easier. There is a clickable map to find an engineer in the state you are building in and engineering reports, technical bulletins and other information that you will find on the Timber Frame Engineering Council’s Website. We also encourage you to check out the Timber Framers Guild website to learn more about the science and engineering of these great structures. Green vs. Dried Timbers – That is the Question?